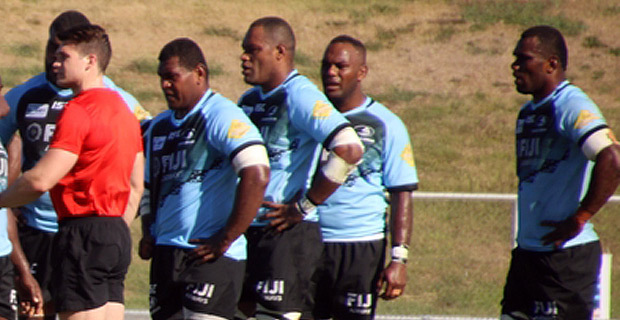 The Fiji Airways Drua coach Senirusi Seruvakula has taken a strong squad to Australia to face Western Force. He is expected to name the starting line up today. The traveling squad includes Alivereti Veitokani, Frank Lomani, Levani Kurumudu, Cyril Reece, Apisalome Vota, Aporosa Tabulawaki, Enele Malele, Jone Navori, Eremasi Radrodro, Mosese Voka, Albert Tuisue, Peni Naulago, Penijamini Makutu, Atunaisa Navuma and Joeli Veitayaki, Mesulame Dolokoto, Luke Tagi, Eroni Mawi, Tevita Naqali, Johnny Dyer, Serupepeli Vularika, Apisalome Waqatabu and Lepani Rayala. Western Force will also name their team today. Some key players to look out for in the Western Force team are former Reds wing Rod Davies who is third in the number clean breaks made by a player in the competition as well as scrumhalf Ian Prior who has made 29 successful conversions in the competition and that is the highest by any player. Prior has also previously played for the Reds and Brumbies in the Super Rugby competition. Western Force head into this weekend’s game as the most discipline team so far with only a single yellow card throughout the season while the Drua have collected 5 yellow cards, the highest by any team. The Drua take on Western Force in Perth at 6pm tomorrow.